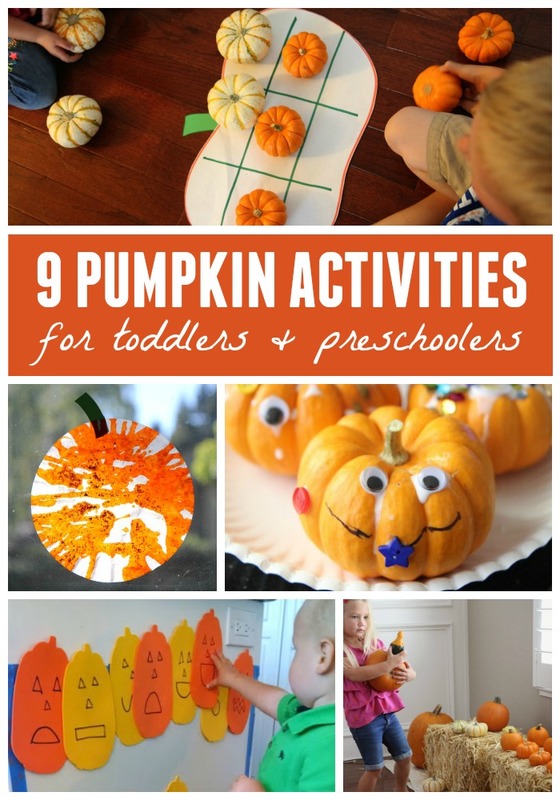 We love pumpkin crafts and activities during the Fall and Halloween time!! Here are 9 of our favorite pumpkin crafts and activities for toddlers and preschoolers that we've shared recently. Click on the activity titles below to head over to the tutorials and see the activities in more detail! Do you see one of these you want to try? Have any other favorite pumpkin activities? Check out more favorite Halloween activities over on our Halloween Pinterest board.